CAN I FIGHT A “NEGLIGENT OPERATOR” STATUS BY THE DMV? 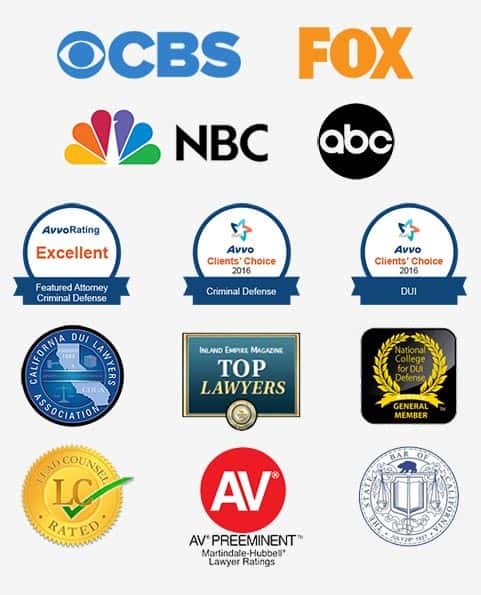 Top-rated attorneys at My Rights Law Group provide legal services to clients in the Inland Empire and throughout Southern California in Negligent Operator DMV Hearings. Our attorneys cover a broad variety of traffic-related legal issues, specializing in DUIs and misdemeanor traffic offenses. Additionally, we can help you in challenging a “Negligent Operator” designation by the DMV. If you or a loved one is facing traffic-related legal charges, contact our office today for a free consultation and find out how our experienced California DMV hearing attorneys can help you fight to save your driving privileges. The DMV’s Negligent Operator Treatment System (NOTS) is a points-based system designed to keep so-called “negligent motor vehicle operators” off the road. Points can be accumulated for at-fault accidents and both major and minor traffic law violations. Most people are familiar with the points system in California, since points on a driver’s record typically cause insurance premiums to increase. But what many people are unaware of is the fact that depending upon the number of points a driver accumulates, the DMV has the authority to suspend an individual’s license, or place the driver on “probation” for a fixed period of time. During that time, any additional points racked up by that driver may lead to his or her license being suspended or even revoked. The California DMV issues points for four main categories of events: accidents, moving violations (e.g. speeding), mechanical violations that affect safe driving, and criminal driving offenses (DUIs, hit-and-run, driving on a suspended license, etc.). Minor mechanical violations such as a burned out light-bulb, do not carry points. Point assignments vary and can be higher for commercial drivers than for non-commercial drivers. The California DMV’s NOTS is a four-step process involving warning letters and sanctions based upon the number of traffic violation points a driver earns on his or her record. A driver will receive a warning letter if he or she accumulates 2 points in 12 months, 4 points in 24 months, or 6 points in 36 months. A driver will receive a letter notifying them that the DMV intends to suspend his or her license for being a negligent operator once he or she accumulates 3 points in 12 months, 5 points in 24 months, or 7 points in 36 months. The driver will receive an Order of Probation or Suspension if he or she accumulates 4 points in 12 months, 6 points in 24 months, or 8 points in 36 months. The driver will receive one-year probation and a six-month suspension which will take effect 34 days after the notification is mailed. If the driver commits a traffic violation or is involved in a traffic collision during the probationary period, the driver will receive a violation of NOTS probation letter. Probation will be extended an additional 6 months for each of the first and second violations; for a third, the license will be revoked for a full year. If you have received a level 3 or level 4 letter under California’s NOTS, you will need to request a hearing before the DMV. You are only given 10 days from the date of the notice to request the hearing so time is of the essence. At the hearing, you will be able to dispute any inaccuracies on your record and present your case to the DMV to show why you should not be classified as a negligent operator. There are many different factors which can affect your case at these hearings and our experienced attorneys will be able to fight for you to protect your driving privileges. Finding an experienced DMV hearing attorney who knows how the system works and who is able to successfully navigate his way through the legal framework is essential. The criminal defense attorneys at My Rights Law Group are dedicated to defending those people who are in need of the help of experienced, reliable and aggressive DMV hearing attorneys. Our attorneys pride themselves on providing the best available defense services to clients for reasonable rates. Contact us today at (877) 705-3425 to schedule your free consultation. Remember, you only have a limited time frame in which to request a DMV hearing. Not everyone is capable of hiring a dedicated criminal defense attorney, but everyone deserves one!